Brussels is the capital of Belgium, home of the European Union and NATO Headquarters, and a hub of international business, culture, and travel. There are hundreds of museums, galleries, shops, activities, and some of the best food in all of Europe. We lived in Belgium for 11 years and 7 of those years were spent in a loft apartment in the heart of Brussels. We’ve amassed hundreds of articles on what to do, see, eat, and where to stay in the city here on CheeseWeb. 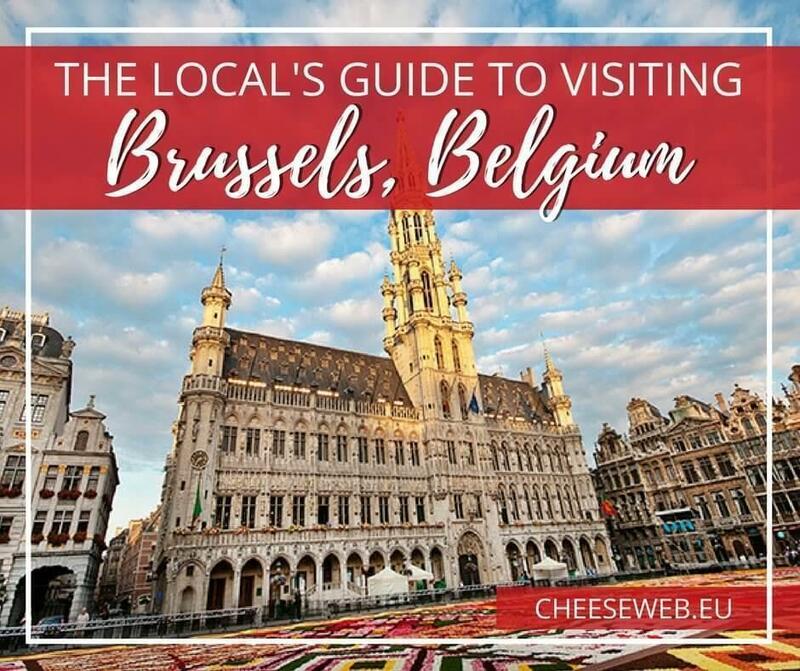 This page serves as a starting point to direct you to the essential information about Brussels so you can start planning your trip to this fantastic city. 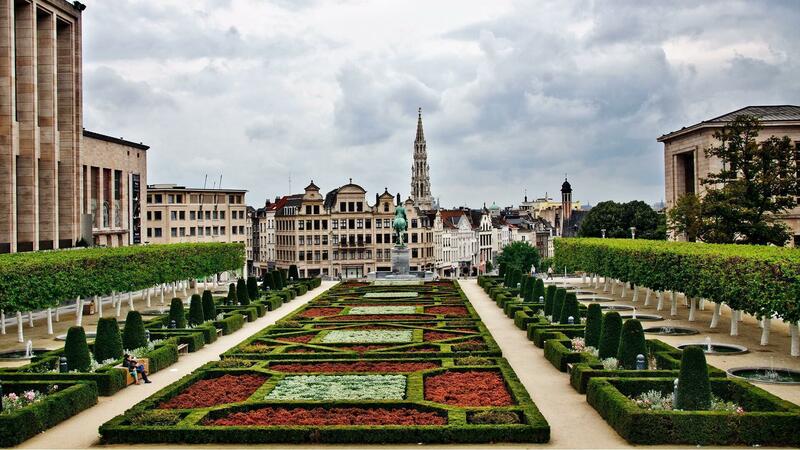 Brussels has hundreds of museums, galleries, shops, activities, and some of the best food in all of Europe. Should You Visit Brussels, Belgium? Brussels has an undeserved reputation for being boring and is overshadowed by cities like Paris, Amsterdam, and London. As a whole, Belgium doesn’t have the best track record for self-promotion, and Brussels is no exception (Although things are definitely getting better). With jaw-dropping architecture like the Unesco-listed Grand Place and dozens of Art Nouveau Masterpieces, countless museums, excellent shopping, and fantastic food options, Brussels should be on the top of everyone’s list. We honestly believe there’s something in the city for everyone. 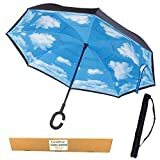 However, if you’re looking for consistently sunny weather, sparklingly clean streets, and constantly smiling people, you may want to look elsewhere. (For that matter, cross London, Paris, and Amsterdam off your list too.) But if you’re willing to look beyond the surface, dig a little deeper, and give Brussels half a chance, we guarantee you’ll fall in love with this quirky capital city. Brussels (Bruxelles in French, Brussel in Flemish and Dutch, and Brüssel in German) is located roughly in the centre of Belgium. Although it is primarily French-speaking, it is surrounded by Flemish-speaking Flanders (See the section on Language below). 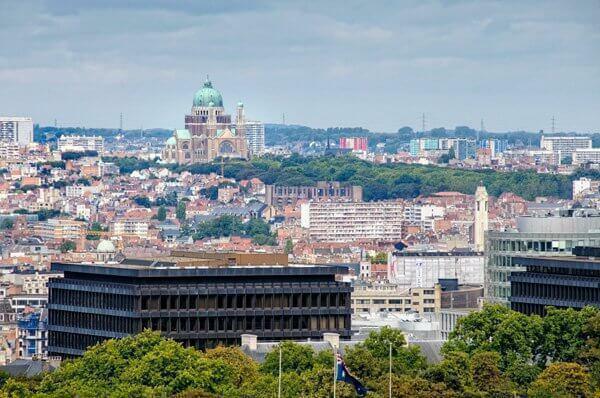 Brussels is officially called the Brussels Capital Region and is divided into 19 municipalities, known as communes. The centre-most commune, the City of Brussels, is where you will find many of the tourist attractions like Grand Place, the Royal Palace, and many of the museums and galleries. The following provides a rough driving time estimate from Brussels to various locations within and beyond Belgium. Brussels is located just over an hour from the North Sea coast. As of January 2016, the population of the Brussels Capital Region was 1,175,173 which is 7,025 people per square kilometre. Many places in Brussels have two or more names which can be vastly different depending on the language. For example, Brussels’ famous central square is called Grand Place is French but Grote Markt in Flemish. This is a fairly direct translation, but it’s not always so straightforward. On the Grand Place, you have the Brussels City Museum. It is located at La Maison du Roi (The King’s House) in French, but in Flemish, it is called the Broodhuis, or Bread House. Brussels is home to the world’s first covered shopping mall. The Galleries St Hubert, located just across from Grand Place, opened in 1847. The Brussels’ International Airport is the world’s biggest chocolate selling point. Brussels was a famous hideout for Europeans in Exile. Karl Marx wrote the Communist Manifesto with Friedrich Engles between 1845 and 1848. Victor Hugo was also exiled here and completed Les Misérables while visiting Waterloo in 1861. For more fun facts about Belgium, be sure to read 40 Facts You Didn’t Know About Belgium. Nowhere in Belgium is language more hotly contested than Brussels and the Flemish communes surrounding it. The three official languages of Belgium are French, Flemish (dialects of Dutch spoken in Flanders), and German. (The German community is tiny but still receives equal representation.) Although it isn’t an official language, English is widely spoken in Belgium, particularly in the capital. 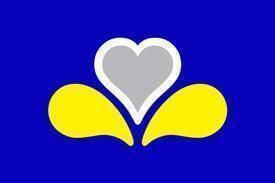 French is the primary language in Brussels with roughly 38% claiming it as their only language. Another 17% speak French and Dutch, while 23% speak French and another language. Meanwhile, 5% claim only to speak Dutch and a whopping 17% of the city’s population speak neither of the official languages. Most people living in the city are multi-lingual due to the sheer diversity of nationalities in Brussels. While Francophones outnumber Flemish-speakers in Brussels, you can still find small pockets of the city that are traditionally Flemish. As a tourist, you will find most people you come in contact with speak functional English (many, much better than functional). Most younger Belgians studied English in school and are fluent. In many cases, English has become the language of business, as it is the primary second language for most Europeans. 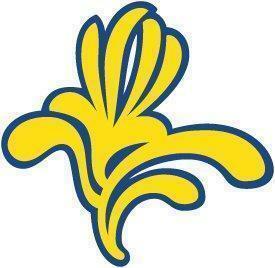 It also helps even the playing field between Flemish and French speakers. Long story short, unless you know for a fact the person speaking to you is Flemish, you are better off speaking French or English in Brussels. Despite its reputation for being boring, there is something to do in Brussels for every single taste and style of traveller. In fact, we firmly believe only boring people are bored in Brussels. Year-round, you’ll find concerts, exhibitions, festivals, and events, in addition to the permanent attractions. With all of this choice, it’s hard to know where to begin. Below, we’ve listed what to do in Brussels if you only have a few days in the city. 1. Take a Brussels City Tour – Without a doubt, the first thing you should do on your first visit to Brussels is take a tour of the city. You can choose to visit Brussels on foot, by bike, on a bus, or even in a vintage car. There are self-guided tours on countless themes, or you can learn the cities secrets from a local expert. There are family-friendly tours, luxury private tours, and even free tours for those on a tight budget. You can read about all the options for Brussels city tours here. Rumour has it; you can visit a different museum in Brussels every day for a year. While that’s not entirely true, there are loads from which to choose. 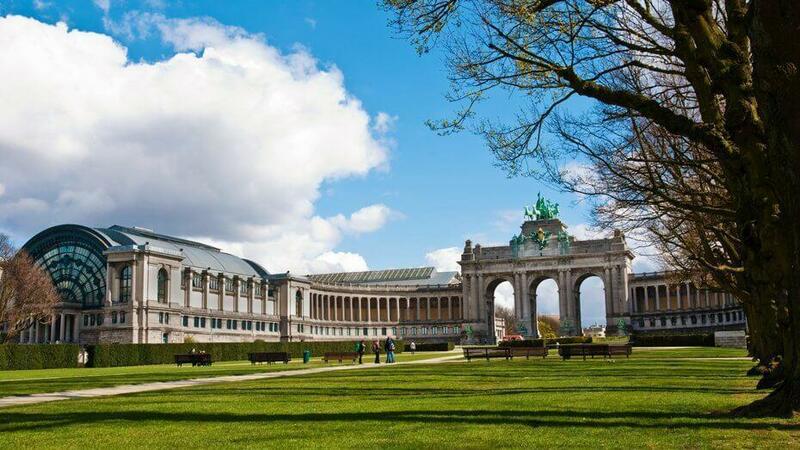 We share our 12 top museums in Brussels in this article. In the list, you’ll find everything from musical instruments to automobiles to history to Belgian beer. Art-lovers will be in heaven in Brussels. There are so many galleries and art museums in the city; they required an article all to themselves. Read about our 12 top art galleries, museums, and art events in this article. 3. Free Things to do in Brussels – We know travelling can be expensive, but there are plenty of budget activities in Brussels. We’ve put together a guide to the top 10 free things to do in Brussels so you can save your pennies. This guide also includes all of the free days at Brussels top museums so you can plan ahead and save a bundle! 4. Things to do with kids in Brussels – We also know (not from our own experience mind you) it can be hard to keep the kids entertained. We asked fellow expats, who are parents, to help us create a guide for Activities for Children in Brussels as well as a list of Five Teen-Friendly Activities in Brussels. 5. Enjoy a Belgian Beer – Enjoying a Belgian beer is on most people’s Brussels Bucket list. There’s more to beer in Belgium than just a refreshing drink. Belgian beer culture is so integral to the country it’s been recognised by UNESCO. While you can get a beer just about anywhere in Brussels, we share our 5 top Belgian Beer Bars, for an exceptional experience. If you want to learn more about this vital beverage, we also wrote about the top 7 beer-themed things to do in Brussels for beer-lovers. 6. Discover Art Nouveau in Brussels – Belgium is the birthplace of Art Nouveau, and you can see examples of this stunning architectural style dotted around the city. 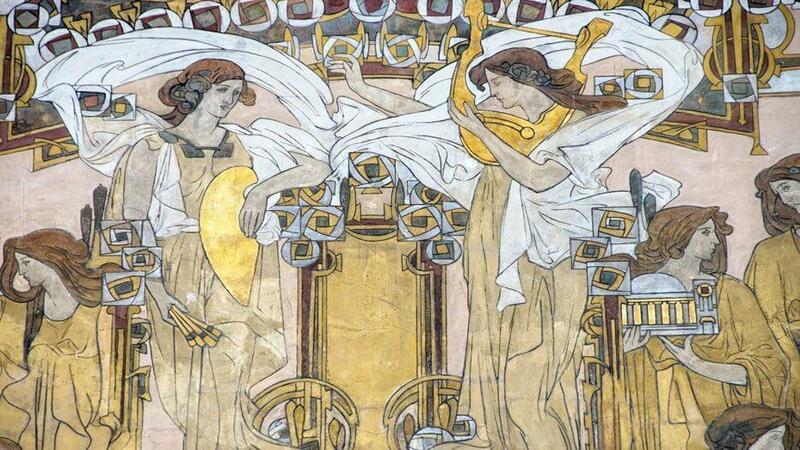 Here are the best ways to experience Art Nouveau in Brussels. 7. Visit a Belgian Spa – After all of the sightseeing, you need to relax. Do it the Belgian way, by hitting the spa. 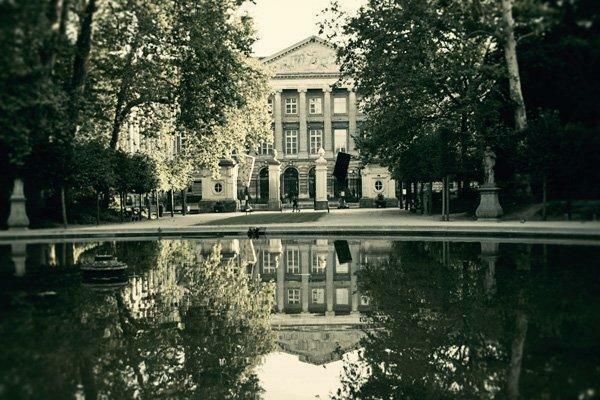 Two of our three favourite spas in Belgium are located just outside the centre of Brussels. 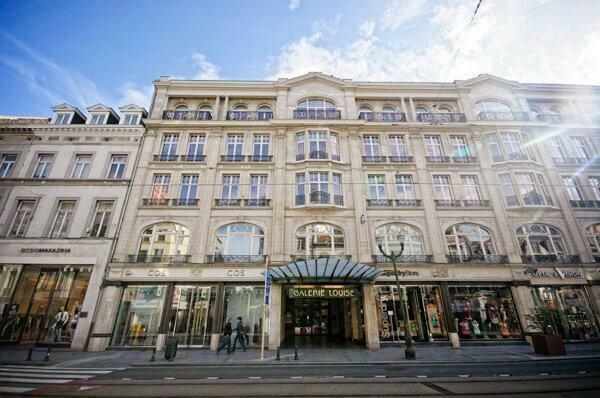 Thermae Boetfort and Grimbergen Spa are both run by the same company. Both offer nudist and clothed sections, hammams, saunas, Jacuzzis, and relaxation areas, as well as excellent restaurants and a wide variety of treatments. Just like Amsterdam isn’t indicative of the rest of the Netherlands, Brussels isn’t indicative of the rest of Belgium. If you’re spending any amount of time in the capital, we encourage you to get out and see some of the surrounding areas. Whether you rent a car, train, or public transportation, Belgium is relatively easy to get around. Here are a few places within easy reach of the big city. If you enjoy nature and flowers, the National Botanic Garden, in Meise, is not to be missed. This garden, close to Brussels, has the largest greenhouse in Belgium. It is situated in a 92-hectare park, with 18000 varieties of plants. There are roses, rhododendrons, magnolias, an Iris garden, hydrangeas among many other favourites (see even more garden photos here). You can also visit the Orangery, medicinal plant garden, and various greenhouses. In the centre of the garden sits Bouchout Castle which is often open to the public for special exhibitions. For a taste of small-town Flanders, consider a visit to Beersel. The town boasts a castle, a Michelin-starred restaurant, a beer museum, a stunning park and playground complex and more. Check out our post on 6 Things to do in Beersel. Of course, the great thing about Brussels’ central location, and Belgium’s small size is it’s easy to get virtually anywhere in the country for a day or overnight trip. If you need more inspiration for short trips from Brussels, check out our list of the top 15 weekend getaways in Belgium. 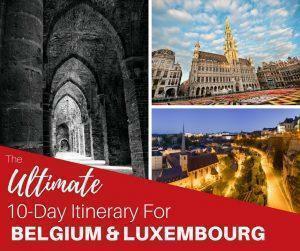 Or, if you’re looking to incorporate Brussels into a more extensive holiday in Belgium, don’t miss our Ultimate 10-Day Luxembourg & Belgium Itinerary. As a hub for travel in Europe, getting to Brussels is easy by all forms of transportation and has connections to most major cities. Brussels International Airport is located 20km outside the city centre. The traffic on the ring road around the city is notorious, and at rush hour(s) it can take over an hour to reach the downtown core. While you can take a bus, rent a car, or hire a taxi from the airport, the easiest option is the train. 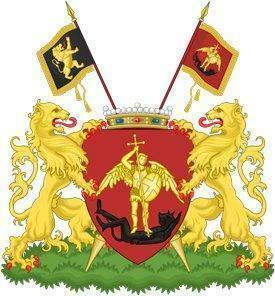 There is a second airport in Belgium called Brussels South Charleroi Airport. Be warned; this airport is south of Brussels but not in Brussels. In fact, it is over 60kms from the centre of Brussels. 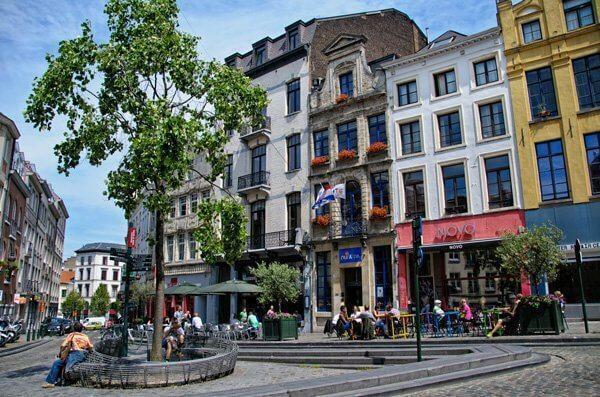 A number of low-cost airlines fly into Charleroi, and it can be a budget option, but you have to carefully factor in your travel time and costs from the airport. The easiest way to get from Brussels South Charleroi Airport to Brussels is the Brussels City Shuttle bus. The bus runs every 20-30 minutes and costs €14 each way. The bus takes you to Brussels South (Bruxelles-Midi) train station where you can take the train or metro to other location in the city. Brussels Central Station (Bruxelles-Central in French and Brussel-Centraal in Dutch) – closest to Grand Place, Mont des Arts, and the historic centre of Brussels. Brussels South Station (Bruxelles-Midi in French and Brussel-Zuid in Dutch) – The international train station for connections to high-speed trains like French Thalys, German ICE, and the Eurostar. Brussels North Station (Bruxelles Nord in French and Brussel-Noord in Dutch) – The primary bus depot for Brussels is located here, and it is the closest station to the business district. Be warned, the area around the station can be sketchy at night. You can purchase rail tickets online, or at the station from machines or ticket windows. If you do not have a ticket when you are on a train, you can be fined. Driving in Belgium is not for the faint of heart. While the roads are generally good, traffic can be the stuff of nightmares and Belgians are aggressive drivers. Throw in a few draconian driving laws (we’re looking at you priority to the right) and linguistically confusing signs and you have a challenge on your hands. If you are timid behind the wheel, driving in Belgium may not be a good option. That said, the backroads in Belgium are calmer, and some of the best points of interest are only accessible by road. E19 – runs north-south from the Dutch border (near Breda) through Antwerp, Brussels, Nivelles, Mons, and into France. E40 – runs east-west from the German border (near Aachen) through Liege, Leuven, Brussels, Ghent, past Bruges and then follows the coast to the French border. 1. Walking in Brussels – If you’re visiting Brussels for the first time, the best way to get around is on your own two feet. The historic core is mostly pedestrianised now, and many of Brussels tourist attractions are close together. There are plenty of walking tours, both self-guided and with professional guides, to help you get your bearings. 2. Cycling in Brussels – Although Brussels isn’t the most cycle-friendly of cities, it is getting better for visitors on two wheels. Belgians are aggressive drivers, however, and it’s best to keep to the smaller streets and designated bike paths. Brussels has a good bike sharing system we’ve explained in detail in this article. There are also some bike rental companies in the city who offer guided and self-guided cycle tours of Brussels. We loved our bike tour with Pro Velo. 3. Public Transport in Brussels – Complaining about public transport in Belgium is one of the national pastimes. In reality, Brussels’ public transportation system is cheap, efficient, and reliable (except when they go on strike; another Belgian national pastime.) It is by far the best budget option for getting around Brussels as a tourist when walking is not a possibility. Brussels’ public transit network is called STIB (MIVB in Dutch) and primarily consists of buses, trams, and the metro (or underground) system. (There is also something known as pre-metro which is a cross between a tram and a metro, but the naming is irrelevant). What you need to know is it all works on the same ticket system. A single ride ticket allows you to use any form of transportation in the network for one hour with as many transfers as you need. This means if you validate your ticket on a metro at 7:45 you can transfer to any other metro, tram, or bus, in the system until 8:45. Note: You must validate your ticket every time you transfer. While tickets aren’t checked every time you enter and exit the system, like in some cities, conductors spot-check fairly regularly. (That said, the entire time I lived in Brussels, I was never spot-checked on a tram). If you don’t have a valid ticket, you will be fined. To use the public transportation network, you need to purchase a MOBIB card. For travellers, the easiest option is the MOBIB Basic card which is anonymous and allows a variety of different ticket options. It costs €5 and is valid for five years. You can buy a MOBIB Basic card at a KIOSK or in a BOOTIK which are found at the main metro stops. 1 Journey – €2.10 – a single fare with unlimited transfers in one hour. 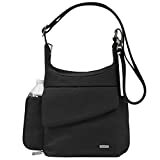 This is the most expensive option for travel, and you should only use it if you really only need one trip. There is also a return trip option, but there is no financial saving. 5 Journeys – €8.00 – This allows for five different single trips up to one hour with unlimited transfers. 10 Journeys – €14.00 – This allows for ten different single trips up to one hour with unlimited transfers. Travel to Brussels International Airport is an additional charge as it is outside the city limits. Tickets do allow you to use the rail line but only within Brussels. Example: you can use your MOBIB to take the train from Brussels South Station to Brussels North Station. If you go beyond Brussels North Station, you will need to purchase a train ticket. Similarly, you can use your MOBIB to travel on TEC (Wallonia) and De Lijn (Flanders) buses but only within the Brussels city limits. 4. Driving in Brussels – Driving in central Brussels is not something we recommend for visitors. As mentioned above, drivers can be aggressive, the traffic is often insane, and parking is limited and expensive. Honestly, the public transportation is efficient and affordable enough driving in the city just doesn’t make a lot of sense. We realise many of you come to CheeseWeb because you’re planning to move to Belgium. 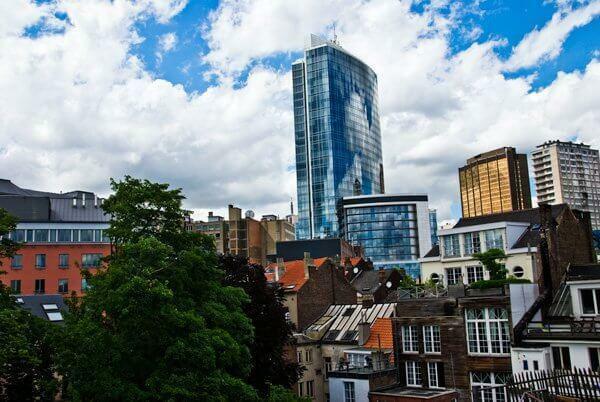 We believe Brussels is one of the best cities in the world for expats. (We must; we lived there ourselves for over 11 years.) Over our time in Belgium, we amassed an enormous amount of information about Brussels of particular interest to expats. Please see our Resources for Expats Living in Belgium as a place to begin your research. One of our best resources for new expats is our article on Where to Live in Brussels, where we wrote about the best neighbourhoods in the city for different types of people. We interviewed many other internationals living in Brussels to include diverse perspectives including families, students, singles, and couples of different ages and backgrounds. There are hundreds (maybe even thousands) of hotels in the Capital Region so it can be overwhelming deciding where to stay in Brussels. We’ve done an in-depth article about Brussels top hotels for business, luxury, families, sustainability, and the all-important factor, location. We’ve listed hotels for every budget and travel-style, so head on over to our Brussels Hotel Guide. If you are in a hurry and need to book something right now, Booking.com is the reservation service we use to get the best deals on hotels. We’ll get a small commission if you use the link below at no extra cost to you and you’ll be helping CheeseWeb keep running. 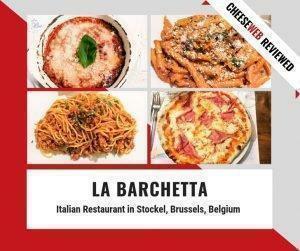 If you’ve spent any time on CheeseWeb, you’ll know we love to write about food in Brussels. In fact, I literally wrote the book on it. If you want to know all the ins and outs of the Brussels food scene, check out The Foodie Guide to Brussels. 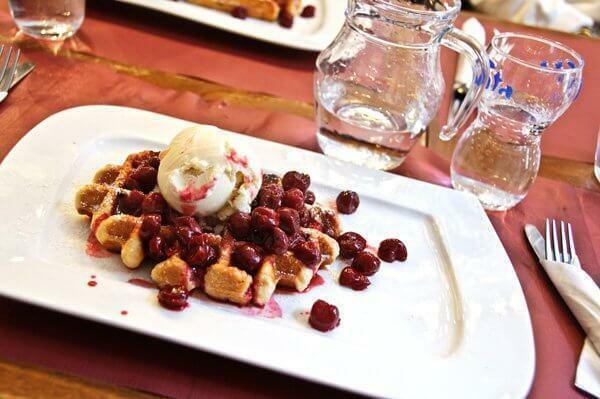 Everyone knows Belgium is famous for chocolate, waffles, and beer – and that’s a great starting point. And Andrew has written an entire series about Belgian Beer, including a round-up of the best Belgian beer bars in Brussels. 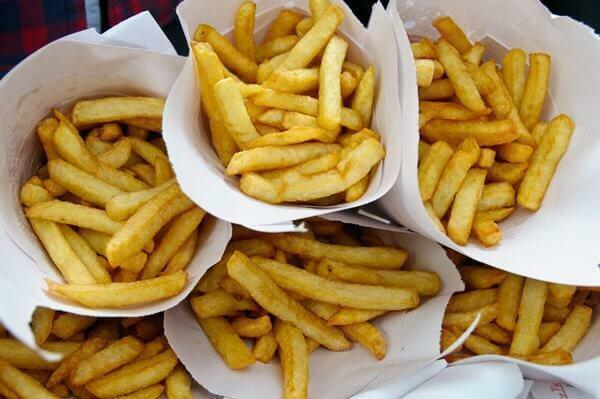 But there’s so much more to food in Belgium, and particularly in Brussels. 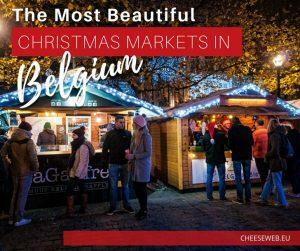 Read our article 5 Reasons Brussels Must be on your Foodie Bucket List and get ready to be hungry! Because we know typical Belgian cuisine can be a mine-field for those with special diets, we created a resource for Celiac and Gluten-Free food in Brussels. Food trucks are still relatively new additions to the Brussels food scene, but there are already some excellent ones you must check out. Brussels also has dozens of tasty food and drink festivals throughout the year. Here are our favourites. 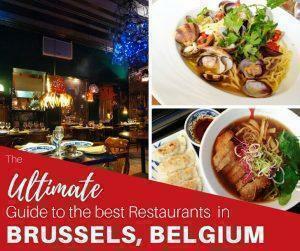 We’ve tested and reviewed dozens of restaurants in Brussels and shared them in The Foodie Guide to Brussels. (If you’re serious about eating in Brussels, you need the book). To get you started, below, we share our top 5 you absolutely shouldn’t miss. Click the links to read our in-depth reviews. 1. L’Idiot du Village – For a tremendous Belgian dining experience, off the tourist trail, head to L’Idiot du Village. They may be called ‘the village idiot’, but they know how to cook and the décor is true Belgian quirkiness at its best. This is my go-to restaurant when people ask for a unique dining experience in the city. 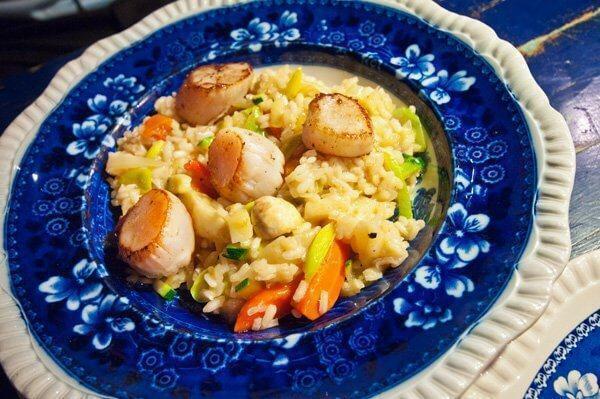 The service is warm and professional, and the food is always seasonal and creative. It’s worth the extra effort to find it. Reservations are an absolute must. 2. The Tram Experience – It’s normally frowned upon to eat on public transportation but not on the Tram Experience. 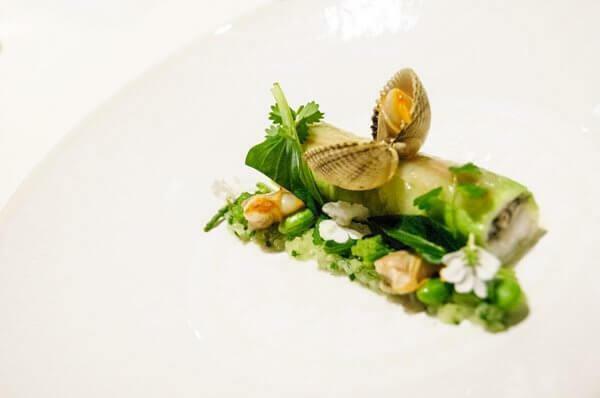 In fact, for two hours, you’ll be wined and dined on Michelin Star quality food as you cruise around Brussels on a luxury restaurant in a tram. It’s an experience unlike any other. 3. Noordzee / Mer du Nord – This seafood bar is a Brussels institution and, although it is now on the tourist radar, you’ll still be elbow-to-elbow with plenty of locals here. It’s so Belgian it even has two names – Noordzee in Flemish and Mer du Nord in French. These days there is a sit-down restaurant area but for the Bruxellois experience sidle up to the counter and order the steaming and rich fish soup, crisp calamari, or fresh oysters. Don’t miss the grey shrimp croquettes, a Belgian speciality. Take your food to the adjacent square and wash it down with a glass of crisp white wine. Perfection! 4. 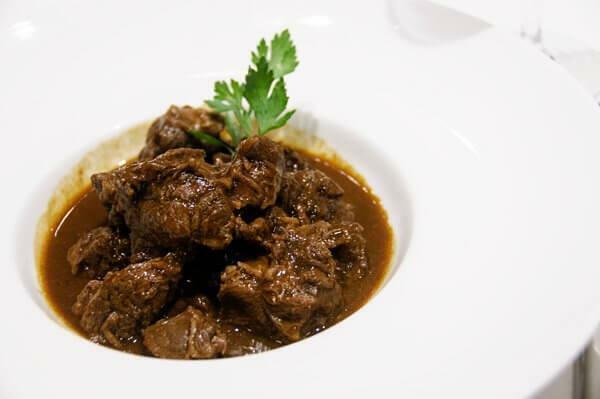 Chez Oki – Brussels is a fusion city, taking on influences from all of the cultures that call it home. As an immigrant city, it makes sense that many of its best restaurants feature fusion cuisines. One of the absolute best is Chez Oki, where Chef Haruki Oki combines his native Japanese cuisine with classical French techniques and ingredients. The results are amazing. 5. La Buvette – While we love international cuisines, we enjoy eating locally sourced, sustainable foods whenever possible. Brussels has an excellent variety of Slow Food restaurants, but La Buvette is our favourite. The tasting menu is a bargain for the level of quality and attention to detail. Settle into this cosy restaurant for a long, slow, delicious meal. Bonus: Café des Spores – This restaurant is only for mushroom-lovers, but if you are a fan of fungus, you can’t miss Café Des Spores. From the starters, through main courses, and even dessert, you’ll be feasting on mushrooms in every dish. It’s run by the folks from La Buvette and is right across the street. And if after all of that you’re still looking for more, check out our giant resource page, Our Favourite Restaurants in Belgium. Bon Appétit! If you’re looking for excellent edible souvenirs, make your way to Le Fraysse. This ‘responsible’ grocery store features bio-organic products and their selection of cheeses, preserves, meat, and even beer and spirits all come from Belgium and its neighbouring countries. The ultimate edible gift from Belgium is chocolate so be sure to check out our favourite Belgian chocolate shops in Brussels. For something slightly less melty but just as yummy, pick up a box of Maison Dandoy’s Belgian biscuits. You can’t go wrong with traditional speculoos (a spicy ginger-snap-style cookie) or try a variety box with more exotic flavours. Tacky t-shirts abound around Grand Place but for some clever (and local) Belgian clothing, visit Brussels Corner. 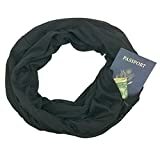 If you forgot to shop for someone while you were in Brussels (or you ran out of the fantastic chocolate) check out our guide to Belgian gifts on Amazon. If like us, you enjoy books as much as online resources, the following are great resources and sources of inspiration to get you in the Bruxellois spirit. Want to visit Art Nouveau and Art Deco buildings in Brussels, Belgium not normally open to the public? 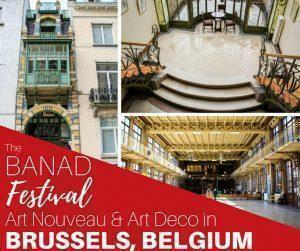 The BANAD Festival takes you behind closed tours for guided tours of Brussels most spectacular buildings. 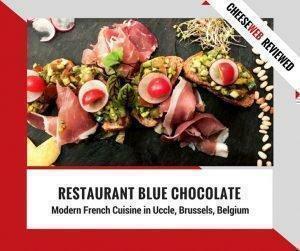 Monika reviews Blue Chocolate Restaurant in Place Saint Job in Brussels’ neighbourhood of Uccle, Belgium. The menu takes a modern approach to French cuisine in a warm and cosy setting. Did you enjoy learning about Brussels and want to go deeper? We’ve assembled a free Top 10 Things to do in Belgium to help you explore further. Our slow travel guide to the very best of Belgium has been our most popular resource for more than 2 years. Explore beyond the borders of Brussels with this beautifully illustrated ebook. 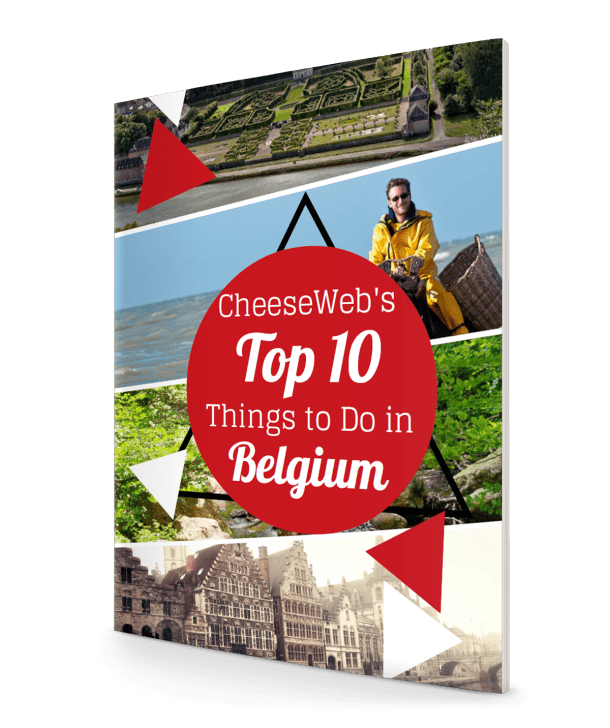 Click below and enter your email address to access the Top 10 Things to do in Belgium guide.